Can you start us off with an overview of what an accelerator is and how it differs from incubators? You mentioned that startups apply and go through a selection process. Can you walk us through that process from application to matriculation? What stage, product status, level of traction, and other criteria make a startup a good candidate to apply to an accelerator? Once the “cohort” or program begins with a group of startup companies, how does the startup experience change for the companies that are involved? Are there key goals, milestones and/or metrics that are established for startups in the cohort that you’d like to see them reach upon graduation? I understand that TechStars and the majority of accelerators provide cash to admitted startups and receive equity or a convertible. Can you talk about the standard structure that you use and how it was selected? Can you speak to the key benefits of “acceleration” to startups, to the greater startup ecosystem and why investors should have an intimate knowledge of the accelerators in their area? What are the success factors for the accelerator itself and how do you measure if you are winning? How do individual accelerators tend to differentiate from one another? Accelerators are a program that startups apply to, for admission, that lasts for a fixed time-period. In the case of Techstars, not all accelerators, the first month is an intensive time of meetings with experienced mentors that challenge and help the startup identify issues and opportunities with their product, business model and/or go-to-market strategy. If you’d like to see more specifics on the perks made available to startups participating in Techstars, specifically, I will include a link in the show notes. The third and final takeaway that I wanted to recap is on how accelerators differ from one another. If you are a startup or startup investor, it is a great idea to review your focus areas and identify accelerators that share this focus. I think it is safe to say that both startups and investors have much to gain from acceleration. I really respect the transformative ability that accelerators have on startups. But during the interview, I could not stop thinking about how difficult it is for startups to get into top accelerators. A very small fraction of the startups in your ecosystem will ever have the opportunity to participate in one of these top tier programs. But that doesn't mean that startups can't leverage many of the same benefits themselves. Troy talked about a fixed time period, setting KPIs, meeting with mentors, getting seed capital, and co-locating with other startups. 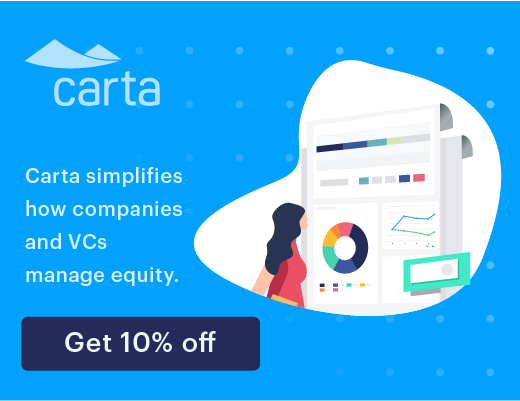 With a strong adviser or early board member, startups can set goals or metrics, pick a date by which they launch a formal fundraise, reach out to or colocate with similar startups and connect with successful founders that have dealt with common challenges. And when it comes to mentoring I have found, more often than not, successful entrepreneurs are happy to spend their time and share their thoughts with early-stage founders. As a startup, if you're coachable and willing to pivot to succeed, these mentors may even end up investing. Nick: Today we have Troy Henikoff. He is managing director of Techstars Chicago, and recently graduated a fantastic cohort of startups that I was fortunate to see at demo day. Troy, thanking for sharing your time with us. Troy: Yeah, thanks for having me. Nick: So before we get started, can you walk us through your background and how you first became involved in venture? Troy: Oh, so my background as serial entrepreneur, started my first company right out of college. Nobody would hire me so I had to make a job. Started with software development. Had no idea where that journey would lead me. Over the course of six to ten companies, depending on how you count, depends on how old they have to be before they die to count as a real company, I’ve run, built, and scaled a bunch of companies and done it almost every way. First company was bootstrapped. I’ve done venture backed, I’ve done angel backed, I’ve done private equity backed, and my passion is building companies. 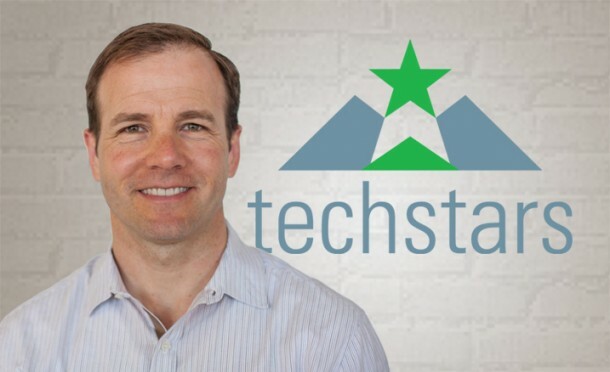 In 2009 some students of mine from Northwestern – I was teaching entrepreneurship at Northwestern – went through Techstars in Boulder, Colorado, and I saw what an amazing job Boulder was doing for those companies. Not just Next Big Sound, the company that went through that was one of mine, but the entire ecosystem. So Boulder had ten companies that year. Techstars Boston had nine. Of those nineteen companies, five came from Chicago. Chicago is only 1% of the US population but we had over 25% of the Techstars population. So the initial reaction is, you know, we rock! Until you realize they leave and they don’t come back. And so in 2010 – the end of 2009, beginning of 2010 – a handful of us got together and started what was Accelerate Labs. And that was the beginning of this journey. Nick: So did you say your previous company… you actually participated in an accelerator before you decided to lead Techstars? Nick: Yeah, it doesn’t sound bad. Troy: I didn’t need to know anything more. I get paid to go spend the summer in Boulder. But I didn’t realize how valuable it was going to be for their business. And it was incredibly valuable for their business. They came in with one business around music and the internet, literally realized day two that dog wasn’t going to hunt and pivoted. And David go into his credit, looked at them when they said, “You know, this wasn’t working.” They said, “You know what? That’s okay. We bet on you, the entrepreneur. These are early stage businesses. They’re all going to pivot. We know that.” And they came out with something way better. When they pitched at the Boulders Theater, August 6, 2009, Alex White was pitching and they were asking for $350 000. They ended up with a line of venture capitalists literally waiting to talk to them as they got off the stage, and they raised over a million dollars in that round, turning a bunch of people away. They subsequently raised another $6 500 000, they’re based in New York now, they’re doing really well. Nick: Yeah, I’m starting to get a flavor for how special some of these Techstars companies are and I hope some of the ones that you’ve shepherded through the process have a little room for me as well. So clearly you run an accelerator here in Chicago. Before we get started, can you just give us an overview of what an accelerator is and how it differs from incubators? Troy: Yeah, so people throw around a bunch of different terms – incubator, co-working space, accelerator. And I’ll give you my definition. So co-working space, place where people come and work, and there really is no beginning or end. It’s a place to co-habituate. When you get to incubator, typically that means that there’s some programming around it. There’s some things that they’re doing to help the companies actually move along. It’s more than just real estate. It’s sessions on marketing, sessions on fund-raising, that kind of stuff. But again, you have a bunch of companies who are there on a month by month basis and they’re all going at their own pace. With an accelerator you typically have around ten companies. They’re in a cohort that has a finite beginning and end, and it’s a very intensive usually 90 days, sometimes a little longer. I call it a boot camp for startups. And usually it culminates with a demo day. So our formula here in Chicago has been ten companies, 90 days, culminating with demo day at the House of Blues every year, and in those 90 days we cover a ton of things that they need in order to be more successful. It’s our goal to accelerate their progress as much as possible. So they get some seed capital, they get free office space, they get pro-bono, legal and accounting, all kinds of other help. But most importantly is mentorship. The mentorship component I cannot underscore enough. So this year I think we had 166 mentor who did 663 one-on-one meetings with our companies in the month of June alone. Troy: Phenomenal! And phenomenal mentors. These are not just people who say, “Oh, I want to help. I have a little experience.” These are founders of GrubHub, Groupon, OpenTable, Priceline, CDW, OkCupid, Jellyvision, Sittercity – just great, great, great entrepreneurs who really want to give back and really want to get engaged. Nick: Yeah, I look at the list of mentors on Techstars Chicago and it’s… you’ve got some [00:05:41.28], I must say. I can only dream of that. But let’s deep-dive into this topic of accelerators. So you mentioned that startups apply and go through a selection process. Can you walk us through what that process is from application to matriculation? Troy: Yeah, so the application is an online application. I don’t know, we ask roughly 25 really short-answer… most really short-answer questions. Some, they are a little longer format. And then we have two videos. So two short videos, each maximum of one minute – one about the team, one about the business model. And literally we get, you know, 700 – 900 applications a year. We have to select the ones that we think are good enough to bring in an interview. And this all has to happen in a really short period of time. You can’t have the applications too far ahead of the program because these companies are changing so fast. If you did it six months before the program, some of the best companies probably wouldn’t even exist six months before the program. It’s that quick. Troy: Right? And yet you can’t do it too fast because you go literally 700, 900, 1000 companies to look at. So in a period of about four weeks we read every single application. This year we had 105 that we brought in for interviews, so we interviewed 105, multiple interviews for each one. We narrowed that down to 40 that we wanted to do more due diligence on, 25 that we brought back in for more interview, and then from that we selected 10. So just over 1% of the companies that applied got in, about an order of magnitude more selective than the best business schools, the best law schools in the country. Nick: Yeah, I think about how hard it was to get into business school, and then I looked at some of your statistics and can’t imagine being admitted to a program as selective. Troy: So when we look at those hundreds and hundreds and hundreds we’re looking for the ones where the business is good enough. There’s something we can make out of it. If we rank ordered them by quality of the idea and then drew a line and said, “Anything above this line, there’s a good enough idea,” we then take those 25 or 40 or whatever that is, spend a bunch of time with them and resort them by quality of entrepreneur. And when I say quality of entrepreneur, we’re looking for some very specific things. We’re obviously looking for smart people who are driven, solving a real problem. But there has to be some balance, right? Great entrepreneurs are tenacious. But this is program where you have to be open to coaching and to feedback. Troy: And so, having that balance, the example I always use is, you know, Steve Jobs – well people have their own opinions about him. Very few would say anything other than he was a great entrepreneur. He built something amazing out of nothing. Yet, could you picture Steve Jobs being in a program where for 90 days he did nothing but get feedback about how to change his business and how to do it better? He would have been miserable. He would have been horrible on a program like this, right? He wasn’t open, from what I understand, to that kind of criticism. He had his own way and he was going to do it his way. Incredibly tenacious, incredibly successful. So we’re looking for entrepreneurs who have that balance between coach-ability and tenacity. And in the middle is someone who’s going to be a really good fit for us. And we’re looking for teams of people, too. We don’t take a single entrepreneur. You need to have a team. There’s way too much to get done and too a short a time for you to be trying to go it alone. Nick: So I get it that they’re very early stage, but do you find that the process of evaluation is similar to that of a venture investor, an angel investor that may have been doing this for a long period of time? Troy: No, we’re definitely earlier. So we’re putting far more weight on the team and the people than we are necessarily on the model. So most of these traditionally seven out of ten of them who come in will be pre-revenue. So there aren’t even any revenue numbers to go off of. So what are we looking for? We’re looking for engagement. We’re looking for engagement statistics, like can you demonstrate that you’ve actually created a product that has a fit in the market, that elusive product market fit we talk about in lean startup. We’re looking for metrics and data that will prove that there actually is that fit, right? You don’t need to have a million downloads of your app, but you know what, the 500 you do have, I want to see that those people are coming back and that they’re coming back at an increasing pace and that they’re engaging more deeply, and that they’re telling friends, right? You see that on a small scale, you can extrapolate out that there’s something there. So we’re looking for those sorts of things. Typically 20% to 30% of them actually have real revenue models already. This year one of our [00:09:57.10] has a couple of million dollar run rate in revenue. I mean, they’re significant. Nick: So we’ve kind-of talked around this already, but what stage, product status, level of traction, and/or other criteria make a startup a good candidate to apply to the accelerator? Troy: Yeah, so the ones that I think are the best candidates are the ones where we have the opportunity to help them the most, to again accelerate their progress. So if their business model is totally cemented, they’re articulate about it, they know where they’re going, they’re just executing, executing, executing and that’s what they think they need to do, their probably not as good a fit for us. The ones that have realized that there are much bigger opportunities if they can iterate on the business model, the product, the go-to-market strategy, how they talk about their product. One of the things that amazes me every single year – and this year was no exception – is how much these entrepreneurs grow, not just as entrepreneurs, but how they communicate what their business is, how they talk about their business, how they think about their business, in just 90 short days. At the opening of the program we recorded them doing their elevator pitches. Nick: Yeah, I heard about this. Troy: And they were weak to say the least. Nick: Self-admittedly most of them will say. Troy: A hundred percent. And then we… you know, when we get through demo day where they’ve been on the stage at the House of Blues, pitching to 500 investors with a pitch that they have carefully crafted every single word. And we went back and we played those elevator pitches from the first week right after the House of Blues, the next day, for them. It was hysterical. And you couldn’t even understand what some of the business… What is the business here? What is it really? Whereas at demo day when they get on stage it is just crisp and sharp about what the market is they’re going after, why they’re going after it, what the opportunity is, how they’re going to execute. It’s night and day. Nick: I don’t envy your selection and vetting process. So once the cohort or the program with a group of startup companies, how does the startup experience change for the companies that are involved? Troy: First of all, we’re looking for companies that are really committed to the process, and it is a process. So if you are coming to me as a startup and you said, “Hey, I want to go onto your program. I’m looking to get a ton out of it in the next 90 days and I want to optimize my revenue growth for the next 90 days.” I’d say what, “You know what, you shouldn’t be on our program. You have a long term view. We’re going to help you build a much better company, but your revenue growth is probably going to slow down during these 90 days in the program, because there’s a lot of work we have to do. We’re kind-of building the foundation. We’re slowing down, going back, and building the foundation. So the first month of the program is all about mentors. The 663 meetings I talked about, those all happen in the month of June. So you as the CEO of a startup coming in to Techstars Chicago, you’re in an average of 60 meetings in the month of June. That’s three meetings a day with these awesome people, and you’re building your network. You’re either researching, preparing for a meeting, in a meeting, following up on the meeting, or preparing for the next meeting. You don’t get any work done in the month of June, which to many sounds very discouraging. Well, why would I want to do that? And the reason you want to do that is that you’re building a network that is an amazing, amazing network. Some of the lead mentors who got really engaged, you know, Jason Fried from Basecamp 37Signals, Chuck Templeton, founder of OpenTable, Carter Cast, former CEO of Walmart.com, Amanda Lannert from Jellyvision, you can’t even get access to these people. And these are people who dedicate a minimum of an hour a week to each to one of these companies. So if Jason was your lead mentor you’d met with him for an hour every single week during the program. And he was just one of 60 people who you met with. It’s phenomenal, the access that you have. And what comes out of it, it’s like half a step backwards to take three or ten giant steps forwards, to really think critically about your business, understand where the levers are, understand where you should be focusing your time, your effort, what experiments you should be doing, how you should be getting the data from the market, right? The mentors don’t have the answers. They can help you think about the problem, construct the task, construct the experiment so that you can get the answers from your market. The market has the answers. Nick: Troy, are there key goals, milestones, and/or metrics that are established for startups in the cohort that you like to see them reach upon graduation? Troy: Every business is different. So one of the first things we do upon acceptance, even before the cohort starts the formal program, is we get them to come up with five KPI’s each. And it’s those key performance indicators that we drive towards during the program for demo day. And sometimes the KPI’s change. You know, three weeks into it they realize, “Ah, made the wrong KPI. This one’s not meaningful. Can I swop it out for another one?” Of course you can. And in our weekly meetings we’re really meticulous about digging in on the KPI’s and talking about them and seeing how those are moving the needle towards some objective they want for the end of the program for demo day. Some of them ultimately want a revenue number. Some of them ultimately want, you know, a number of users – monthly active users, daily active users – some of them have other metrics. It all depends on what the business is. But yes, each company has a different set of 5 KPI’s that they’re maniacally focused on throughout the program. And hopefully, they see the value in that process and they continue that well after our program and use that method of identifying KPI’s and managing to them to help grow their business forever. Nick: So I understand that Techstars and the majority of accelerators provide cash to admitted startups and receive equity or some sort of convertible. Can you talk about the standard structure that Techstars uses and how it was selected? Troy: Yeah, so our structure is really simple. So it’s $18 000 in capital. We give you $18 000 dollars in capital. We give you free office space. We have perks that are worth like $300 000 from Nicking at Rackspace and Microsoft Azure and Softlayer and all that stuff free – lots of stuff, tons and tons of stuff. Troy: The time, the mentorship, all that stuff. In exchange for all that stuff we get 6% stock. And it’s common stock, not preferred. So we sit on the cap table right next to the entrepreneurs. One of the other things is that in Techstars you have an optional $100k convertable note provided by a separate entity that’s called the Starpower. It’s a group of venture capital firms that have come together and put up the capital for it. So you get all that stuff for 6%. And what’s interesting is that over time we saw that on the way in many people are looking at it. They are like, “Oh, 6%. 6% equity is really expensive, you know, and my advisors are telling me, and…” And my response has always been, “If you don’t see how when you exit this you’re worth 60% more, like 10X return on your investment, you shouldn’t do it.” Like it should be so crystal clear to you that this experience, this network, these people are going to increase the value of your business by a minimum of 60% and I think it’s probably 120% or 180%. It’s huge what it does for you. But people didn’t believe me, and they didn’t believe some of the other managing directors in Techstars. And so just a couple of weeks ago, Techstars announced what it calls the Equity Back Guarantee, which is, “You know what? If you don’t believe us, that’s okay.” The new program is, you come in. That’s what the deal is. The deal is still the same. But if after demo day you don’t think it was worth it, you tell us what you think it was worth and we’ll return the equity. You think it was worth 4% we’ll return 2%. You think it was worth nothing we’ll return it all. In our experience the companies that come in skeptical go out thinking it was the most valuable thing they’ve ever done. So we’re excited to put our money where our mouth is and have the Equity Back Guarantee. And just take that off the table. If you’re questioning whether it will be worth it or not, it’s okay. Go through the program. You decide at the end. Nick: So do you have examples of companies that are taking that Equity Back option? Troy: Well the Equity Back Guarantee is something we just announced two weeks ago so it hasn’t happened yet. But of the 50 companies that have been through the Chicago program that I know well, I can’t think of one who would have taken it. I think 50 out of 50 think it was one of the most valuable things the most valuable things they could have done for their company. And not just in those 90 days. They’re part of the Techstars network, part of our network for life. Even if this business fails and they start their next business, you as an entrepreneur are still part of that Techstars network, still have those relationships, still go to Foundercon which we hold once a year, the Founder Conference. I just got back from it. It was in Austin, Texas last week. Troy: So it’s incredibly valuable. Troy: If they know about it they don’t. But on, you know, many… It’s fascinating to me how many don’t really know about the program. “Oh I’ve heard of it but what does it… Ah, 6%. Forget it. That’s too much.” And they don’t even bother to apply. And so with Equity Back Guarantee, what we’re trying to do is open up the top of the funnel so that people will apply. They’ll say, “Well, there’s no risk to applying. There’s no risk to going in,” and then see the value on the way out. Nick: Well, whether it be startups, angel investors, or net worth investors that are looking to transition into the venture space, part of the reason we’re doing the podcast is to educate people and let them know about what’s out there. Accelerators as well as a number of other things in our ecosystem that can provide some value. So we touched on this, but it’s a good Segway. Can you speak to the key benefits of acceleration to startups in the greater startup ecosystem and why investors should have an intimate knowledge of the accelerators in their area? Troy: So I think there’s a wide variety of value that comes out of accelerators, depending on the people who are running them, what the program is like, what the mentorship model is like. I’m very biased. I think mentorship is the most valuable thing and while I’d like to think that I add some value and Steve Farsht, and Sam Eagan and, you know, the guys who are here, the real value comes from that broader network. Those 166 mentors who donated their time here in Chicago. And a bunch of them flew in to do it. So it’s not just Chicagoans. So I think there’s a wide variety of what the outcome is. An accelerator is not an accelerator – not an accelerator any more than a community college is the same as an Ivy League institution. They’re very, very different. But the reason that I think that investors should be looking at companies coming out of accelerators and frankly coming out of top-tier accelerators is that it is a filtering mechanism, right? As an investor you don’t have time to look at every single deal that comes across your desk. And so how do you make the most efficient decision there. And if you look at the companies coming out of an accelerator you know that at a minimum, someone – whether you agree with them or not – has looked at hundreds and hundreds and hundreds and decided these are the ten, roughly, that are the best, and then applied some capital, applied some mentorship, applied a process. And so hopefully it’s not just the best ten out of the, you know, thousand that applied, but it’s the best ten out of that thousand, then with gasoline poured on the fire in the form of some additional capital, some resources, some mentorship. And they should be even that much further along. So if I were an investor who wasn’t associated with any of this stuff, I would be looking at the graduating classes from the accelerators because those are the companies that I will be able to find the best value for with the least amount of time invested. Nick: Yeah, when I look at my list of diligence activities, there’s a great number that fortunately you guys have done the work for me. So that’s nice. So what are some of the success factors for the accelerator itself and how do you measure if you’re winning? Troy: Yeah. So with all our early stage investing it’s a long term view, and it will take a while to see the big home runs. Troy: As an accelerator we have a couple of missions, you know. One mission is to build this ecosystem and to build great companies. Another mission is to give a return to our investors. And when I say that, that takes two different tags. One is the people who invest in the companies as they come out of here. So what we’d love to do is have a bunch of investors who made a ton of money by investing in companies exiting our program, because then they are more likely to invest in more companies exiting our program. Troy: The reality is that that takes a while, right? Early stage investing, you’re looking at seven to ten years to get your returns. We’re just entering the fifth year, so it’s… we got some time. The second is that there actually is a tiny little fund that sits behind this that funds this, gives us the capital to actually operate, right? We have to pay our rent, the House of Blues, stipends for the interns, investment in the companies, and that 6% goes to that fund. And we want that fund to make a nice return so that those investors will continue to fund the next class, the next class, the next class. And they have been. Those funds generally return about 3X, 3 to 5X it looks like historically, but we’ll see. Nick: So the investment in Techstars itself, was that a one-time event or is that something that happens on a recurring cycle with new cohorts? Troy: So the way we do it here in Chicago and most of the Techstars locations is every four years. So we have a four year fund. Started with Techstars 213, so we have invested in two cohorts out of that fund – we have two more – and then we’ll raise the next one. It’s a small, small fund. And we have over 37 investors in that fund. And the reason we did that is this is about building the community, right? We want to make sure that we get the prominent angels, the prominent VC’s all invested in what we’re doing and have a vested interest in it, because then they help out as mentors and they help out by making introductions, and they help out by inviting great people to demo day. And so when we raise that fund I tell them, “First of all, you’re not going to put enough money at risk that it matters, because it’s fairly small dollars, very small dollars, certainly for funds. And second of all, if your goal is to make as much money as you possibly can, go put it somewhere else. If your goal is to invest in the future of Chicago’s entrepreneurial ecosystem, this is an awesome way to do it. It is not a donation. You will get your capital back. You will get a return on your capital. You’ll roll up your sleeves, you’ll get involved, and you’ll be a part of building the future. And that’s what we’re looking for. Nick: While accelerate and Techstars are still relatively young, can you speak to the track record so far, based on your performance metrics? Troy: Sure. So in our first class of accelerate, class of 2010, which graduated four years and two weeks ago, has returned roughly 95% of the capital already to the fund behind it and has two companies that are doing really, really well right now that will probably return it again a couple of times – one being GiveForward and the other being Brilliant.org. Combined about a $50 million market cap for those two. So that’s the best indicator we have, was our first year, because it has been the longest. But we’ll see. Only time will really tell. But I think we’re doing pretty well. Nick: Great. So, how would you say that individual accelerators tend to differentiate from one another? You know, we hear about the Y Combinators and a variety of other accelerators out there. How do you guys differentiate? Troy: Yeah, so Y Combinator does an amazing job. They clearly have had a great track record. They definitely take a different approach. Less emphasis on the number of mentors and bringing in the outside community than we do. One of the things that I think we do really well that I’m proud of is, we build a community here. So our ten companies actually work out of our space for the entire 90 days. Most of them stay for the subsequent nine months until the new class comes in. And so the fact that they’re physically located here gives us a big advantage. It gives us an advantage in that I sit next to them. I don’t have an office, I have a desk right in the middle of the open space with everybody else. And so when things are happening, when people are having problems, when they need help, we’re really, really accessible. Not only accessible, we hear it happening, right? We’re in the middle of the fray. I think that’s really valuable. As far as how accelerators differentiate themselves, one is – obviously we differentiate ourselves on the mentorship too – is that various accelerators have various specialties. I think about it like universities, right? So while you could probably get a degree in computer science from Northwestern or from MIT, one of them has a better computer science department. You might be able to get a degree in journalism from Northwestern or MIT, but you know, Northwestern has the best journalism school in the country. That’s where you’d prefer to go. Similar with accelerators, right? They’re going to have specialties. So some of them are declarative. Impact Engine here in Chicago is working on impact companies that make an impact either socially or environmentally but are for profit companies – kind-of a nurturer. Healthbox which was started here in Chicago, obviously focused on health care companies, right? There’s some focused on education, EDU companies, Fintech, even within the Techstars network we have a combination of the city programs – Chicago, Boulder, Boston, Seattle, Austin, New York, etc., and then we have these vertical programs. And the programs are partnering with Kaplan EdTech, partnering with Rackspace and cloud computing, partnering with Disney, partnering with Sprint on mobile health, RGN, Internet of Things, and so verticals. Depending on your company and how narrowly focused you might be better of going to one of these specialty accelerators. You might be better of going to what I call the general practitioner, which is what we are – a city program. Nick: Sounds like a lot of different ways that accelerators differentiate both vertically and horizontally. Nick: So Troy, I know you just finished a cohort. Tell us a little bit about some things that you’re currently most focused on. Troy: So, well we finished the cohort. Remember we have 50 companies that have been through our program. Those are 50 companies that we’re continuing to engage with, continuing to help as we can. Techstars is for life. We mean it. It really is. We’re always trying to improve. Actually the last few weeks I’ve been doing a lot of… spending a lot of time surveying our lumps, our investors, trying to understand what they got out of the program. What caused them to even apply? What caused them to accept for the investors? Which companies do they like the most? What are the patterns? What should we be doing more of? Because we want to continuously improve this program and make it better and better and better. That’s what I’m focused on right now. Nick: If we could cover any topic on venture investing on the podcast, what do you think we should cover and who do you think we should speak to about it? Nick: So before we wrap up, Troy, what’s the best way for listeners to connect with you? Troy: Probably the best way to connect with me is just follow me on Twitter @troyhenikoff. I try to post office hours on a regular basis when I have open office hours. That’s the best way to sign up. Come and meet me. I love talking with entrepreneurs. Nick: All of Troy’s contact info will be listed in the show notes at thefullratchet.net. Troy, thanks so much for what you do for the community out here and thanks for spending your time today. Next PostWhat’s your fundraise source and structure?